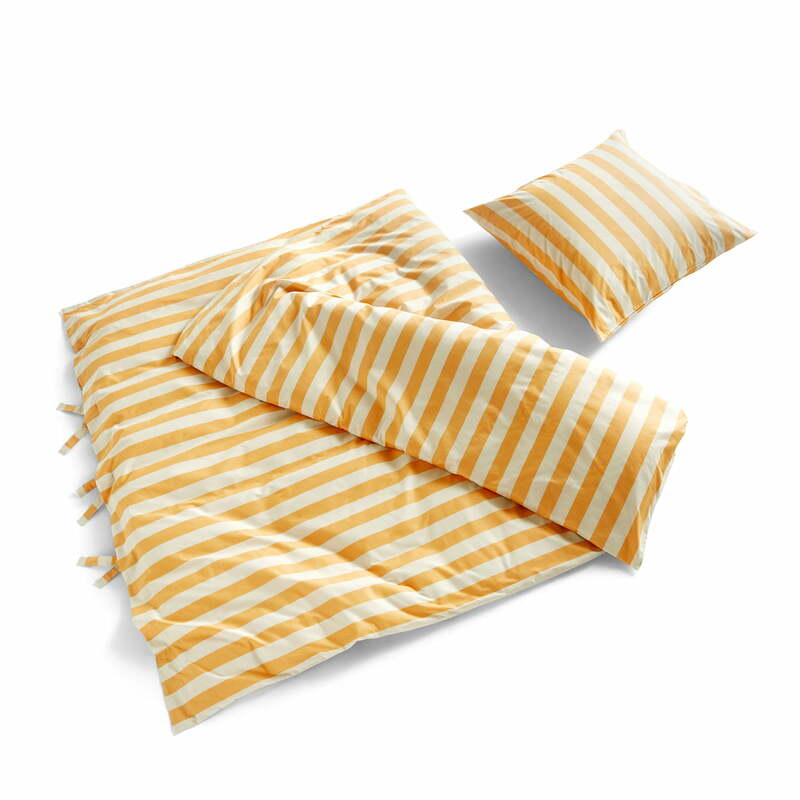 Hay's Été bed linen, designed by Amanda Borberg, is made of pure cotton. With its soft, sun-bleached stripes, it is reminiscent of hot summer days with sandy beaches and fresh sea air. 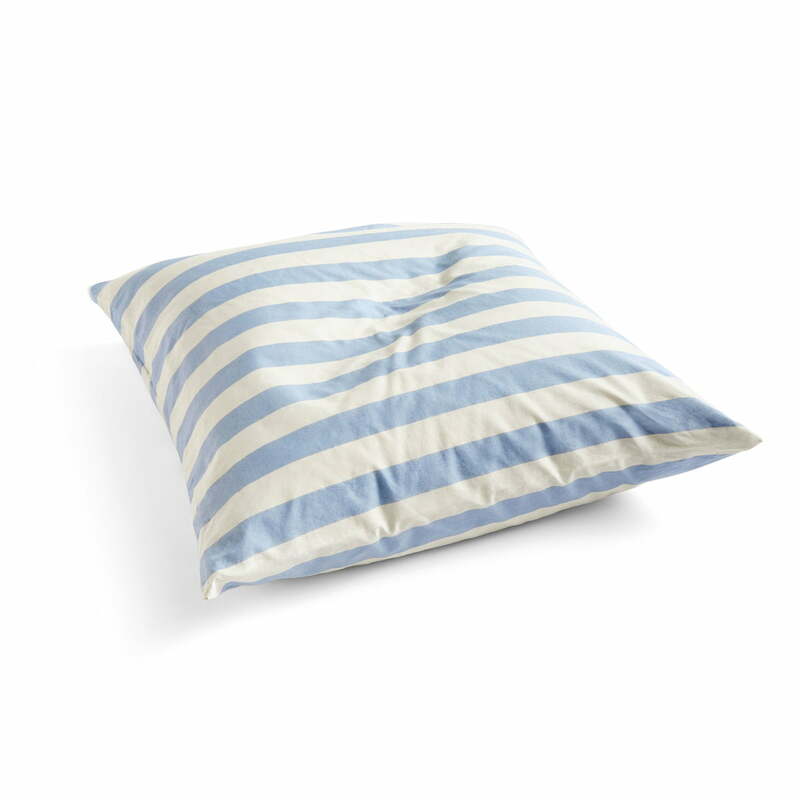 Available in various colours, the bed linen blends in perfectly with any bedroom and provides for relaxing hours. 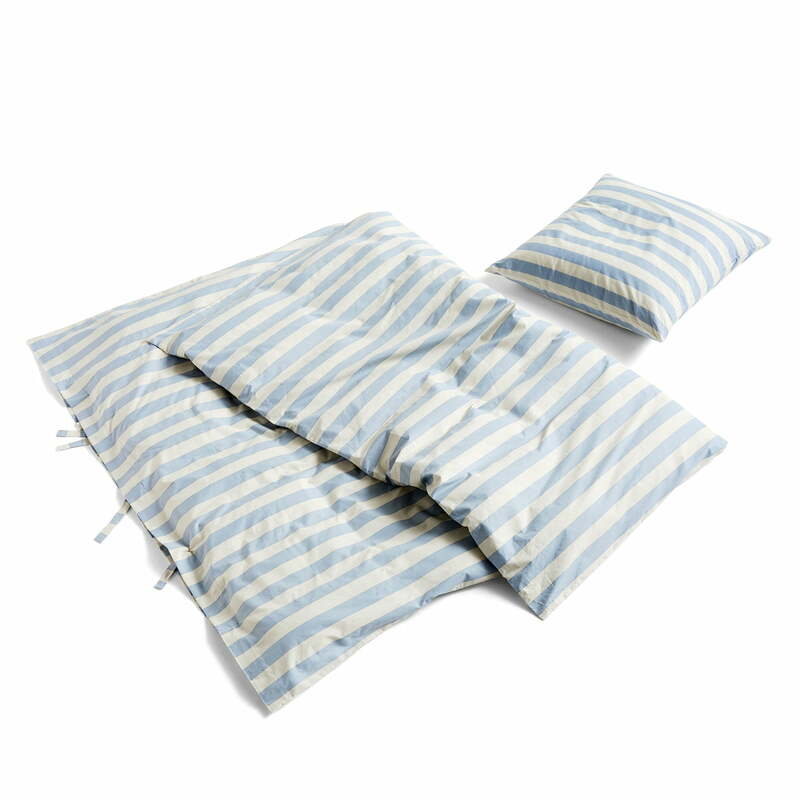 Duvet cover and pillowcase are available separately in different sizes. So the bed linen in different colours can also be combined with each other. 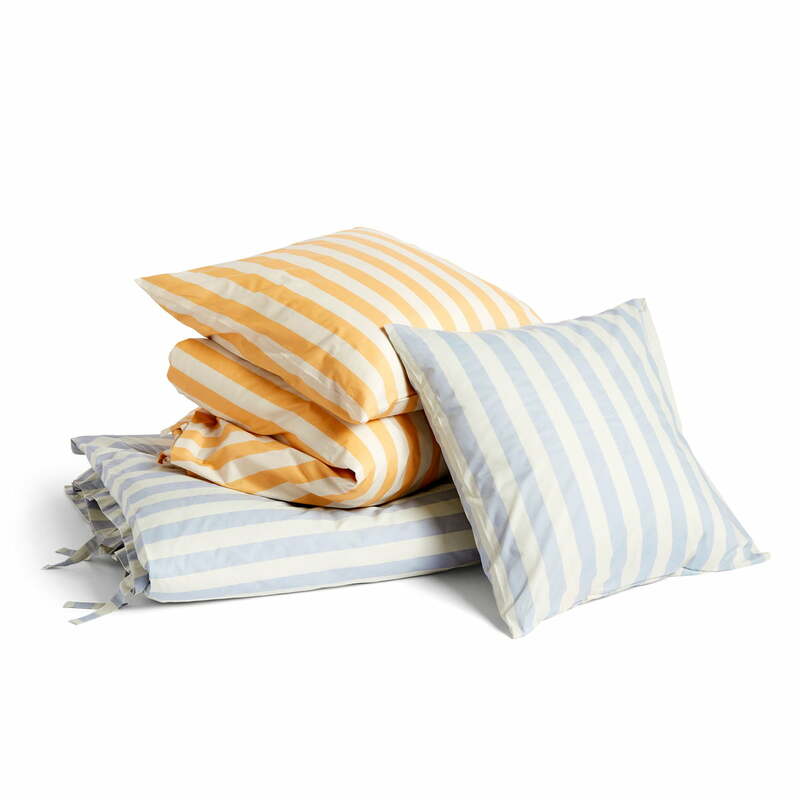 With its soft, sun-bleached stripes, Hay's Été bed linen in light blue and warm yellow reminds us of hot, summery days with sandy beaches and fresh sea air. 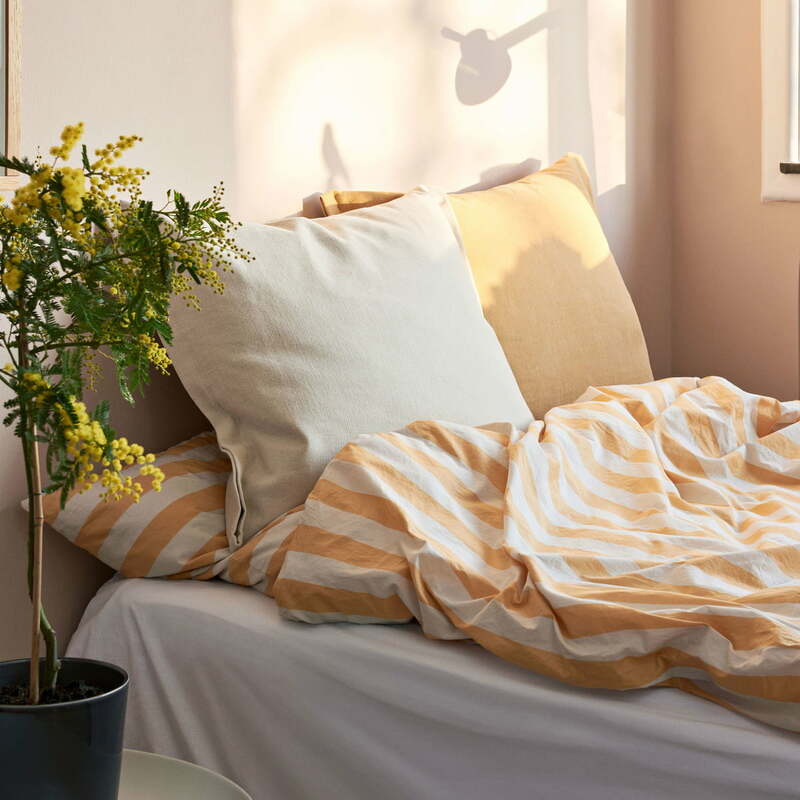 The Été bed linen in warm yellow with Plica Tint cushion by Hay in the ambience view. The bed linen together with the cushions gives the bedroom a beautiful look.